VLC 3.0 recently came out, with the ability to cast to a Chromecast device. However, if you are behind a firewall, such as UFW, a front-end for "iptables", you need to whitelist a certain port. 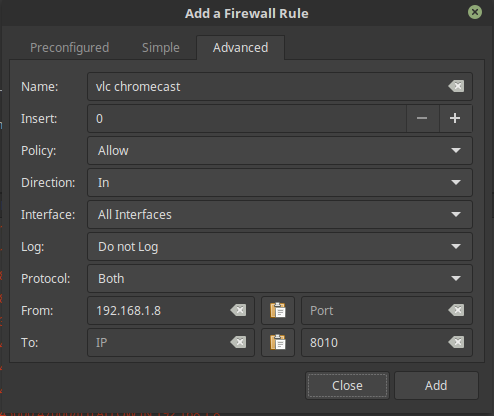 Note: Replace 192.168.1.8 with the IP address of the Chromecast on your network that you want to cast to.